In the hands of religion, the most benevolent of intentions can be twisted into malevolence. Such is the creativity of sinful humanity. The laws of ancient Jewish marriage provide us with a striking example. Judaism, in contrast to nearly all ancient cultures, gave women relatively high status. Though restrictive by modern American standards (as we shall see shortly), Israel was still on the cutting edge of women’s rights. Marriage customs and laws were intended to protect women from being arbitrarily divorced and left with nothing. To guard against this possibility, weddings were preceded by copious exchanges of money and gifts. Marriage began when the father of the groom approached the father of the bride to negotiate the marriage contract. Though not directly involved in the negotiation, Jewish girls had the right to refuse the match (Genesis 24:2-9; Talmud Kiddushin 2b). A betrothal contract called the Shitre Erusin was created and the betrothal was confirmed by an exchange of something of value between the bride and the groom (Genesis 29:21; 2 Samuel 3:14; Josephus, Antiquities of the Jews 14.300, 351, 467). The item did not have to be very expensive. A single coin was sufficient. The more valuable exchanges came in the form of the mohar or Bride Price (Genesis 24:53; 29:18 34:12; Exodus 22:15-16; 2 Samuel 3:14; Hosea 3:2) and the nedunyah or dowry. The bride price was not considered to be a purchase price for the bride, but more of a gift to strengthen the bond between the two families. The groom could, and often did, add gifts to the bride, which were included with the dowry and which returned to him if the marriage ended. The dowry, which was specified in the Ketubah or Marriage Contract, and by the time of Jesus came to be called the ketubah, served a couple of purposes. “The reason why the Rabbis have provided a ketubah for a woman?” the Talmud asked. “In order that it may not be easy for the husband to divorce her” (Talmud Yebamoth 89a). The other, and ultimately more practical reason, was to provide for the woman’s livelihood after she was divorced. Once a husband gave her a certificate of divorce, he also had to return the dowry to her (Talmud Ketubah 82b). This was considered so important that if a girl had been orphaned or her family was too poor to provide a dowry, a community fund provided a dowry for her. No Jewish girl was to enter a marriage without some security provided for her future. That’s how it was supposed to work. But, as Jesus said, Moses permitted divorce because of the hardness of heart of human beings. More literally, that is because of sklerokardia, the Greek word that means obduracy, obstinacy, perverseness (Matthew 19:7-8). And perverseness has proven adept at corruption of anything. The most often quoted Bible verse on divorce, “God hates divorce” (Malachi 2:16), appears in the context of human perverseness. Malachi spoke to a situation that had developed in Israel after the return to Jerusalem from the Babylonian captivity. Specifically, people were being “unfaithful to one another.” (Malachi 2:10) The men of Israel had married “women who worship a foreign god” (verse 11). Both Ezra and Nehemiah have substantial passages relating to this (Ezra 9-10; Nehemiah 13:23-26). Both were extremely upset by the actions of their countrymen. Ezra tore his clothes, pulled out his own hair and “sat down appalled” (Ezra 9:3). He convened a general assembly and demanded that the Israelites divorce the foreign women (Ezra 10:11), for the “honor” of the Lord. It would be easy, from a cursory and too rapid glance, to interpret this passage as a religious prohibition of mixed marriages, a statement that God hates divorce but he hates interfaith marriage even more. And some have interpreted it this way, including in mixed marriages whatever other combinations they don’t like, such as interracial marriage. Fortunately, Malachi, written in the same time frame, gives pertinent details that paint a completely different picture. Malachi also gives us some insight into how God can hate divorce and order people to be divorced at the same time. Simply stated, divorce isn’t what God hates. What he hates is the twisting of decrees intended to protect people into weapons to harm them. What was happening was a legal stratagem by which men could get their wives out of the house and make room for a newer, younger, foreign model without having to return the dowry. Apparently the motivation for this included a good deal of spite and malevolence, since Malachi declared it to be equivalent to covering oneself with violence as with a garment. It worked like this. (And here, it might not seem that ancient Jewish law was very supportive of women’s rights, and in many ways it was not. But it was far worse in other cultures.) Though a woman had the right to refuse a betrothal, she had no control over divorce. She might want a divorce, but she had no legal standing from which to issue a certificate of divorce to her husband. Get is a later word for certificate of divorce. The husband could “send away” his wife, shallach, forcing her out of the house, but keep her waiting indefinitely for the actual certificate of divorce. And there was nothing she could do about it. Unlike her husband, she would be guilty of adultery if she tried to remarry. This greatly restricted her ability to care for herself or her children, since the culture of the time was such that a woman without a male guardian of some sort was unable to participate effectively in the economy. She would not even have the dowry given specifically for exactly this situation. Separation without divorce drastically reduced her options, and relegated her to the likelihood of unavoidable poverty. When we put all of this together, it wasn’t divorce that God hated. It was malicious violence done out of unfaithfulness to commitments. It was hardness of heart, that is, perverseness, that prompted the inclusion of a law for divorce in the first place. Consistent with God’s personality and his love for his creation, he recognized the perverseness of humanity and he wanted those trapped in a destructive and unhealthy relationship to have a chance for escape. He never intended the passage to be twisted into a dogma that kept people in the abuse out of some misguided religious obligation. The image of covering oneself with violence as with a garment (Malachi 2:16) is likely a sarcastic reference to the Jewish custom of a man covering his bride with the corner of his garment as an indication of betrothal, a symbol of covering her with his protection (as Boaz did to Ruth in Ruth 3:9). The men of Israel had corrupted the covering of a wife by her husband for her safety into a covering of violence, a complete violation of his marriage commitment. A few verses earlier, the section of Malachi about divorce made the observation that one who does such violence to a spouse would have trouble. The question we must ask ourselves is: Why would anyone with a residue of intelligence or common sense do that? A similar question is: Why would anyone with a residue of intelligence or common sense use this passage of scripture to require a woman to stay in a marriage in which she is subjected constantly to emotional degradation, physical abuse, manipulative control, or more often all three, knowing that God hates that kind of violence? Before you dismiss the question too lightly, let me remind you (or tell you, for the sake of those who missed it) about the comment that prompted writing this series at this point in time. In the series of posts titled “The Spirit of Jezebel,” I told the story of a woman I knew whom I called “M”. (You can read the original post here: “Sexual Immorality Isn’t What You Think”.) I described the abusive treatment she endured from the leadership of the church to which we both belonged. She and her husband were having problems and the pastor’s wife one day advised her to leave him. She did and then they fired her because they didn’t want a divorced person as their assistant. The post was about leadership, not M’s marriage, so I did not elaborate on the specifics until it came up in the comments at the end of the post. Had I done so, I would have described a marriage with emotionally abusive dynamics. Had I been counseling M, I would have recommended leaving as well. Nothing good was coming from that marriage. In John’s mind, the problem was in not understanding the sanctity and the indissoluble permanence of marriage. “Marriage is a commitment made with vows,” he wrote. “Most people forget they made a vow before God.” The implication is that if people love unconditionally, as they vowed they would during the wedding, then it won’t matter how a spouse treats them. “Love starts as a decision,” John explained. 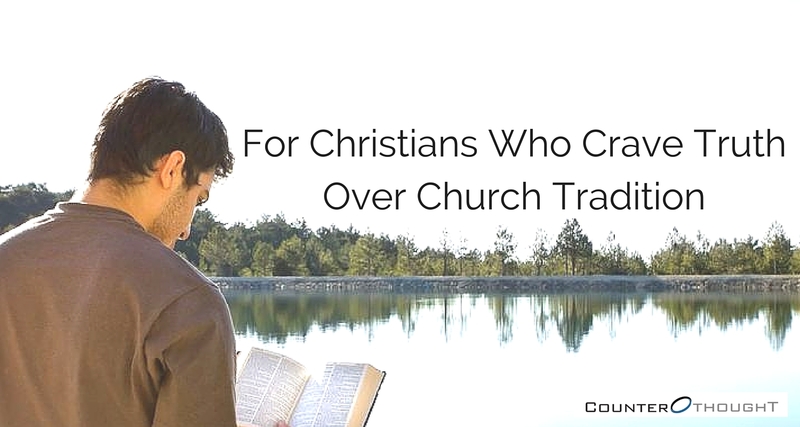 “Too many pastors are giving counsel without the knowledge of God’s unconditional love.” John believes that anyone who loves unconditionally will put up with anything and will not entertain “illusions” about their lives. “90% pastors need an education on love and marriage,” according to John. Malachi 2:16 is a prime passage used to keep people in unhealthy and detrimental environments. But God doesn’t hate divorce. He hates violence done to a spouse through manipulating what is supposed to protect a spouse and turning it into a weapon to extract the maximum misery. And I repeat, why would anyone with a residue of intelligence or common sense use this passage of scripture to maintain a destructive and harmful relationship? A lot of pastors and Christian marriage counselors have a lot to answer for because of their misuse of scripture. Next week, we will see that this kind of perverseness did not end with the Old Testament. It was alive and thriving when Jesus started teaching. Next, part three: What Did Jesus Really Say About Divorce? ← Does God Hate Divorce? Thank you, Don. Very informative. I learn so much from you. And I from you, Jerry. I trust our exchange will go on for a long time.